I have been trying to find my blog again for days. I have such a time since it was changed from the original. 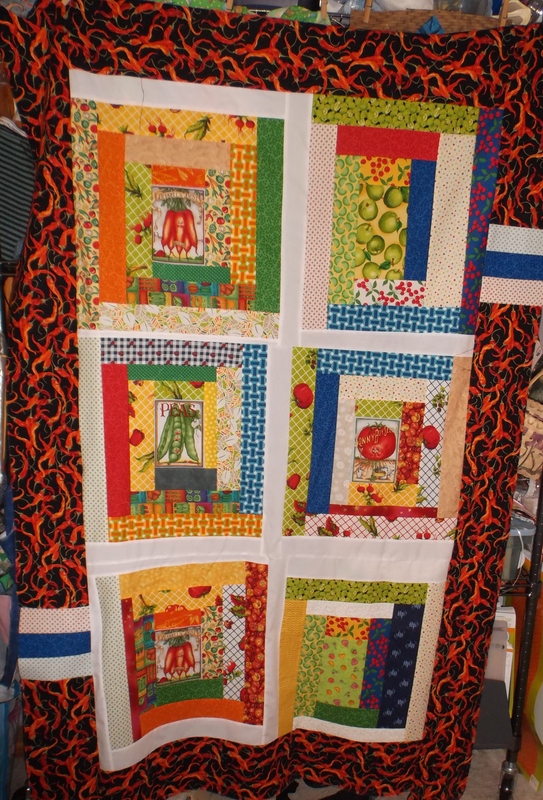 I think I will post a pic or two here of Pat Sloan’s quilt alongs I have done recently. I’m finishing up quilting a commission T shirt quilt. YAY ME! Here is my progress with the first two clues. I have finished 60 of the #1 clue and 20 of the clue #2. Tomorrow is the next clue. I’m following Bonnie’s instructions to keep up with each clue even if previous clue is not completed. I have not trimmed up the blocks yet. Slow but sure. So I finished this charity table runner this month! I’m happy for the completion for sure. I have a second one on the quilting frame right now. I may be able to finish it today. The auction is Sat. YIKES! I am playing Bocce Ball at noon and that takes about 2+ hrs., but is one of those fun things I do here in the adult community. I actually lost my web site for my blog. Well couldn’t remember it. That’s a woman of a certain age. 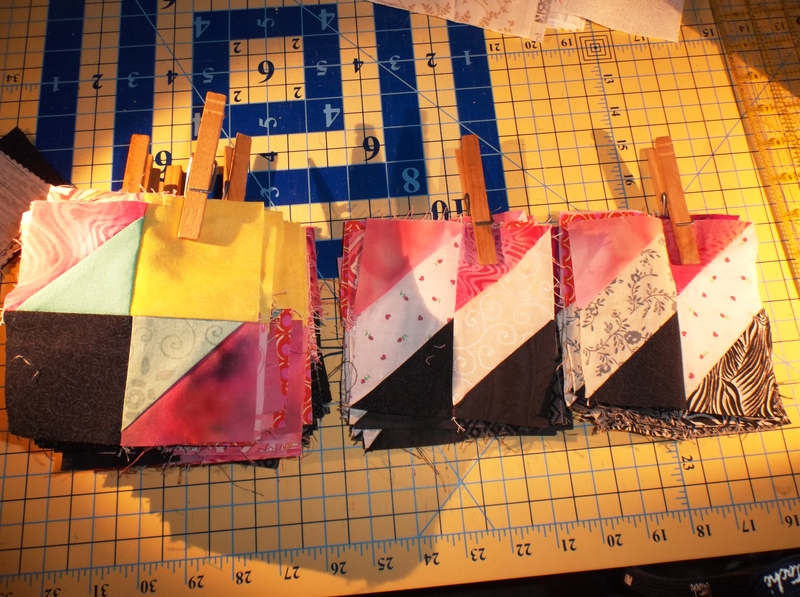 My quilting life has picked up quite a bit. I’m quilting the secod row of DS’s wedding quilt. The date is July 19. I am just going to mail it to them in Seattle rather than take it to the Boston ceremony. Makes sense to me. I am looking forward to seeing the wedding and getting to lay eyes on my two Seattle grand-kids. Max is in college in FL and Samantha is in HS. I have not visited them in over 4 yrs. That’s a long time between grand visits. Pouring rain here all day off and on til tomorrow. Good thing quilting is an indoor sport. I have been kicked off my blog near the beginning of this year when google did something to blogs. LOL I’m tech impaired in spite of my DS’s capability (he works for Microsoft in Seattle). So I finally gave in and used some advice from friends on a quilting site I belong to (Pat Sloan’s Forum). One of them said just start a new blog. So here I am starting a new blog. Sad though, because I apparently can’t reach my old posts or photos. Sigh. So here I am starting over and at my age. I quilt for my sanity. I love quilting and nearly everything about it. I have been trying to maintain a fabric diet this year. I slipped last week because of great sale prices going on different sites right now. I guess they have to rid themselves of older inventory as quilt market approaches. Currently I’m trying to finish DS’s wedding quilt which has a long history. He is getting married 7-19 in Boston. I’ll be there. Hope my friends will follow me here.